Every time I sit down to write I feel like I need to apologize first, because I just cannot keep up with this blog right now. Life has been so busy, in a good way, that's it's hard for me to find time to sit down and write but I don't want to let this space go just yet. 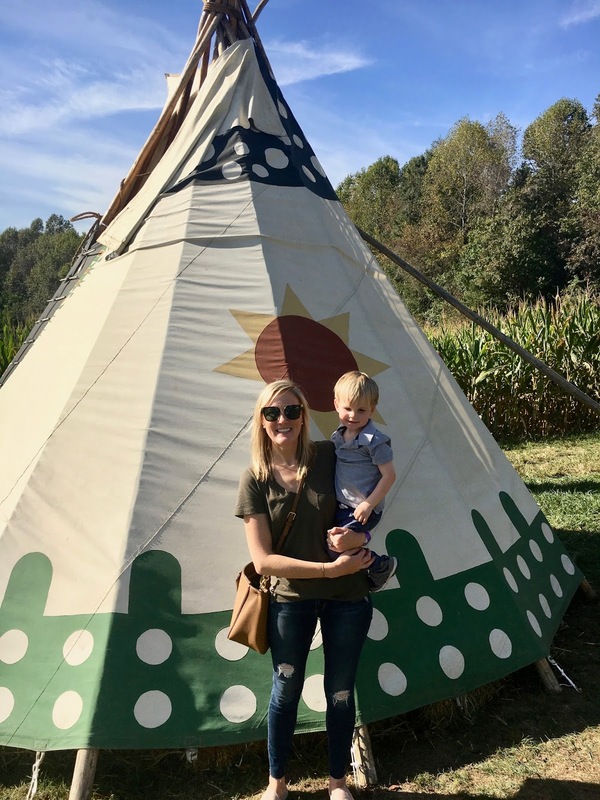 So here I am finally recapping our October. It was a fun one for sure! 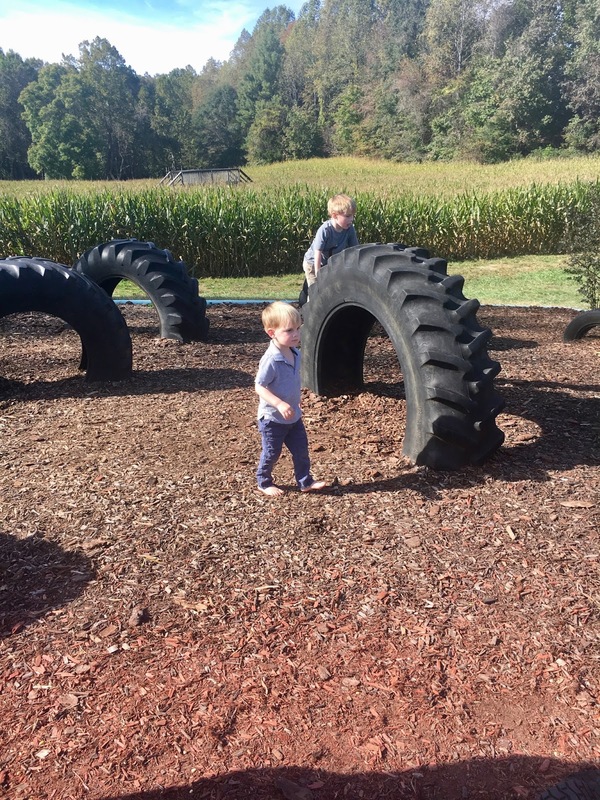 A few weeks ago we went with some friends to Greenstreet Gardens in Lothian, Maryland for their fall festival weekend. 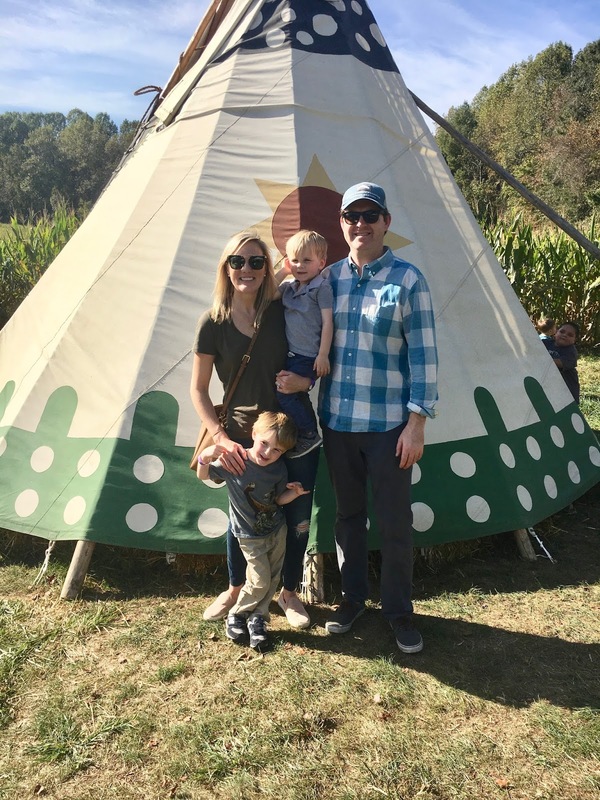 They had so many fun activities for the kids such as hay rides, jumbo slides, a kiddie corn maze, a "corn box" which was like a sandbox but with corn kernels, pumpkin painting, tire playground, swings, and farm animals. 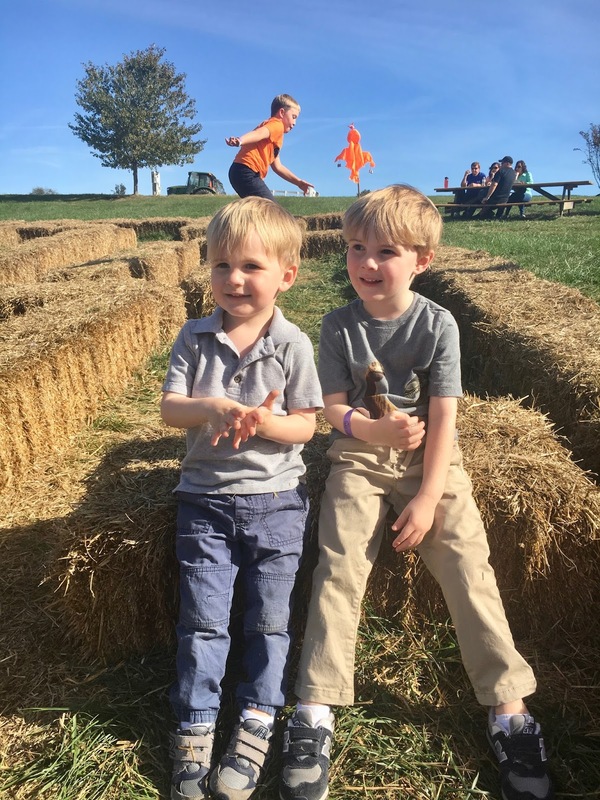 It was the perfect way to spend a fall afternoon with family and friends, and the kids had a blast. Our fall has been so mild that I have been living in these Madewell tees, I'm not sure why I haven't purchased them before but I cannot get enough now. I've been getting some shopping in when I get my few kid free hours when they're at school. It's amazing how much I can accomplish in two hours without kids tagging along. 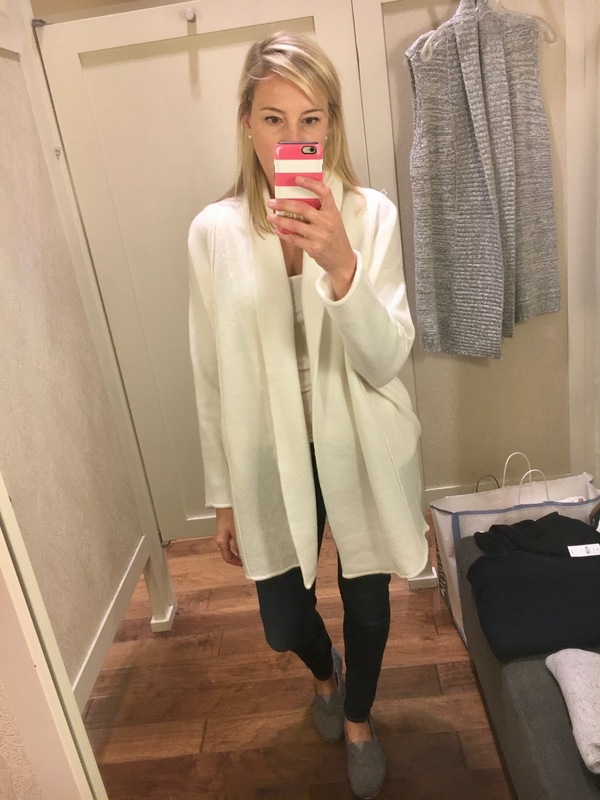 This sweater is so so soft and totally worth the price tag! I would say that it's more on the slouchy lounge wear side than one I would wear out of the house. 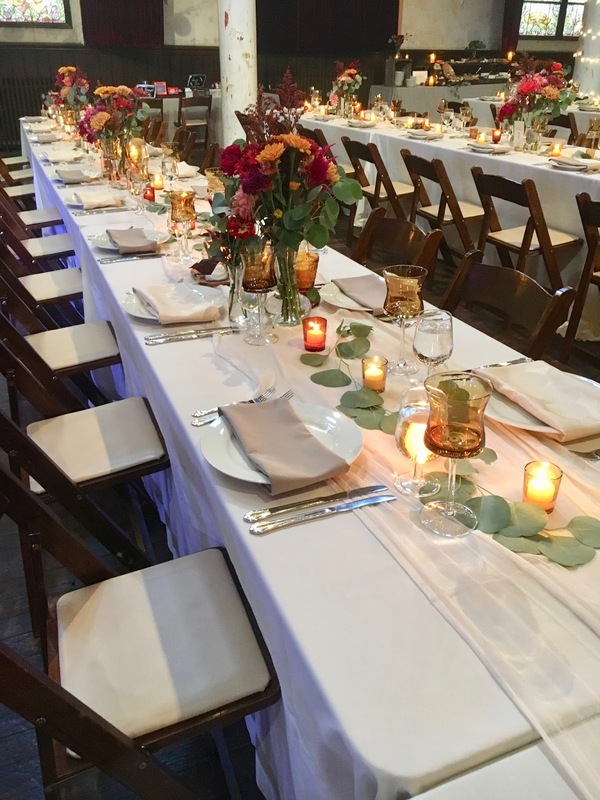 I worked a wedding last weekend, which I haven't done in over a year, and it was so fun to dip my toe back into the working world for a few hours. I was the wedding day of coordinator with my friend and former co-worker Mallory for her event and floral business Everyday Rosé Events. 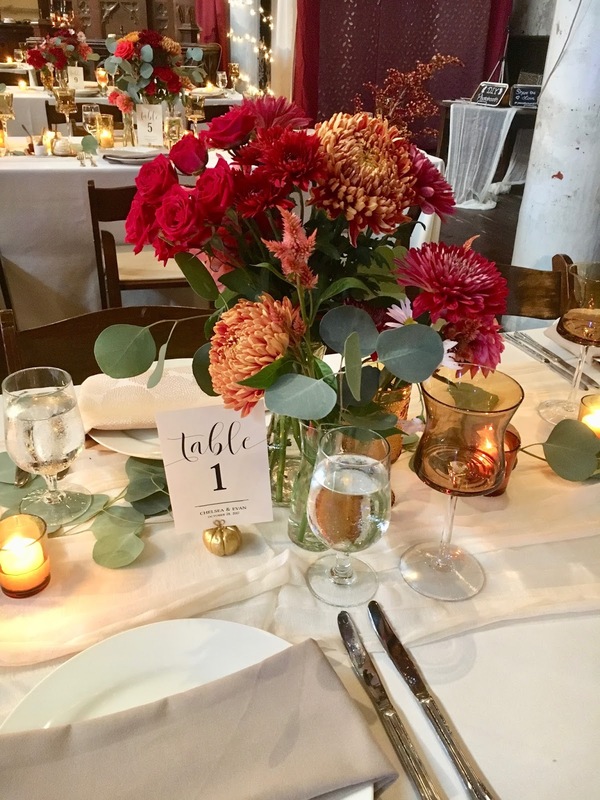 The wedding was at a newish venue in Baltimore called 2640 Space. 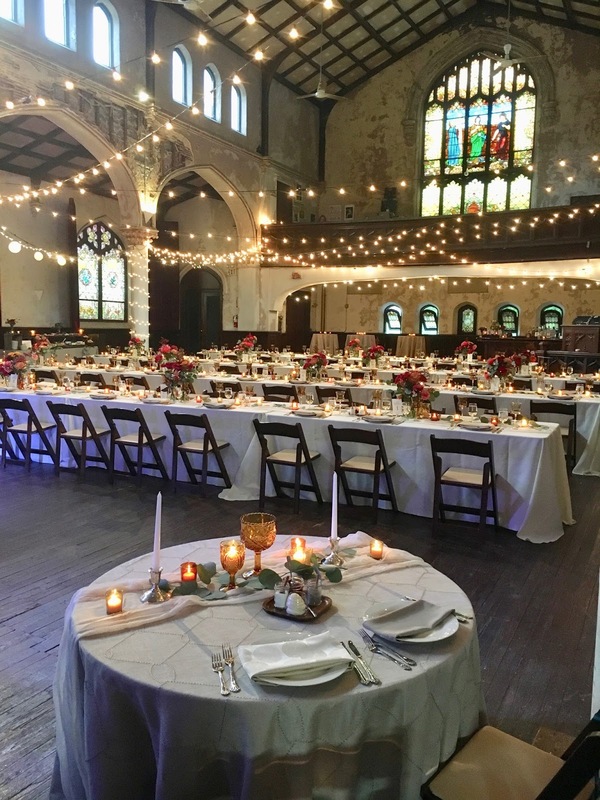 It's an old church that has been converted to a venue space. The bride did a lot of the set up and decoration herself, and it was gorgeous. Mallory did as awesome job on the flowers as usual! Halloween was so much fun this year. I would say this is the first year they both really got it and were so excited to go to each house and say "trick or treat". 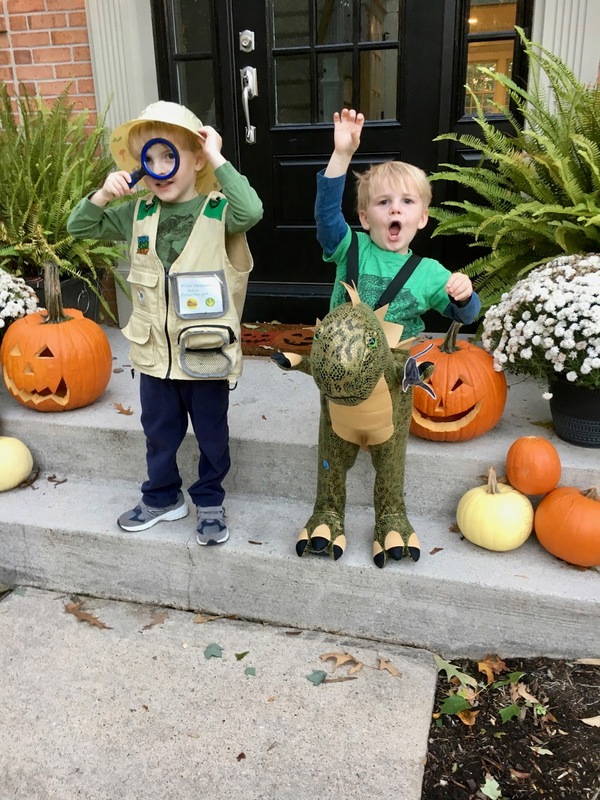 After buying them both matching dinosaur costumes from Target Miller decided he wanted Matthew to be the dinosaur and he would be a paleontologist. 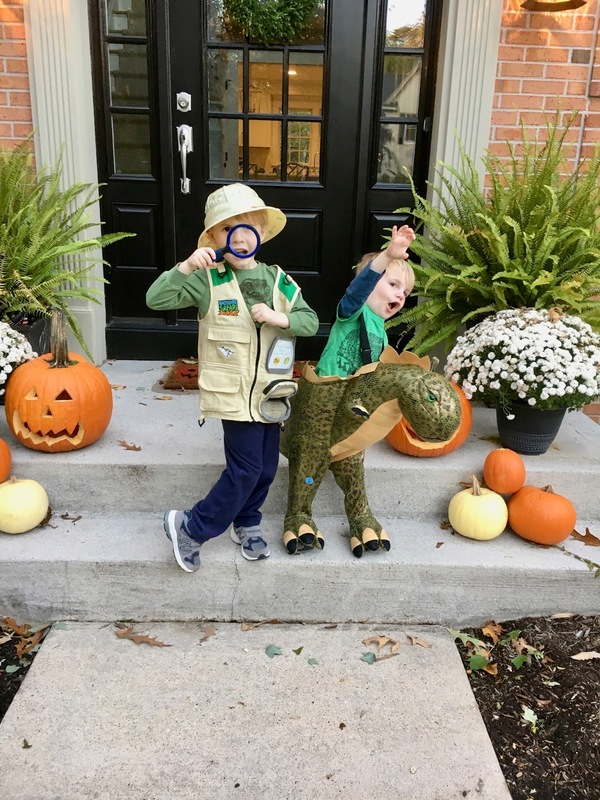 It was so cute and the perfect theme for my dinosaur lovers! I can't believe we are already in November!! Matthew turns 3 this weekend, I'm seriously in shock that my baby is going to be 3 ;( I've had quite a few sentimental moments about it over the past few weeks. Time is just moving way too fast. Love the boys' costumes! What a gorgeous wedding... that must have been fun to be a part of. 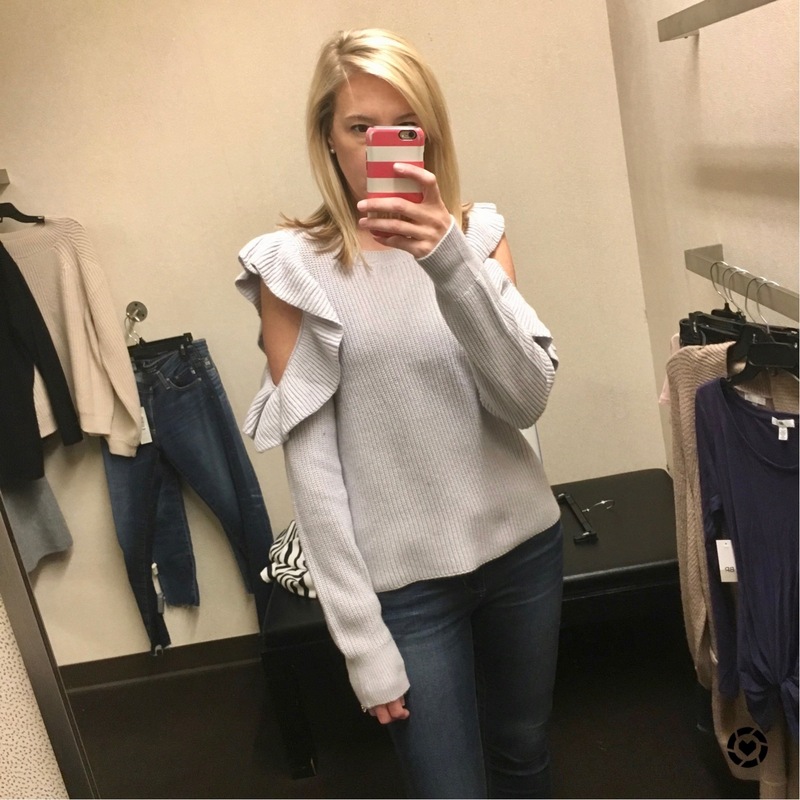 :) Also, loving that BP cold shoulder sweater. I may need to go take a peek at that one! Time for baby #3!!! Ha. Ah! Paleontologist I just love it! Too cute. That wedding venue looked gorgeous! 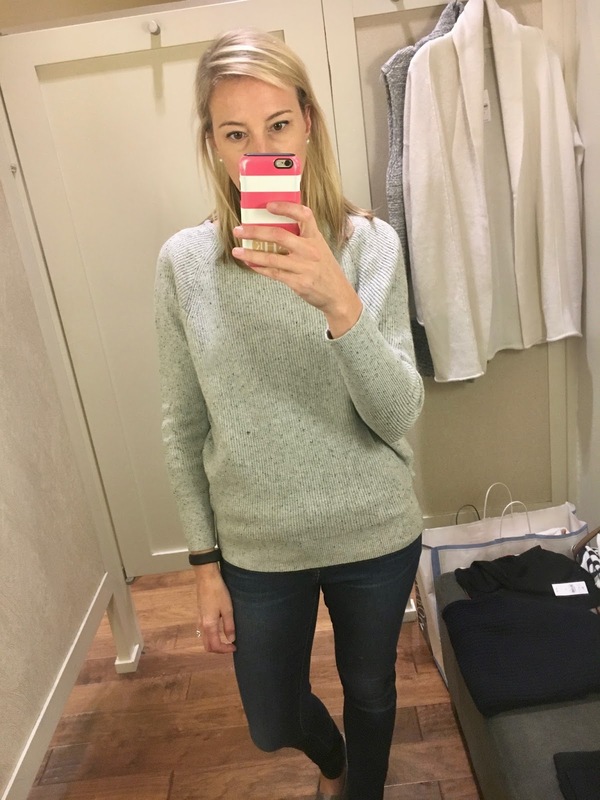 Love the little tan leather cross body in your first 2 pics - is that tory burch? Looks like a great size! Wow! That wedding venue is gorgeous! How precious are your boys in their costumes?! October definitely FLEW by!